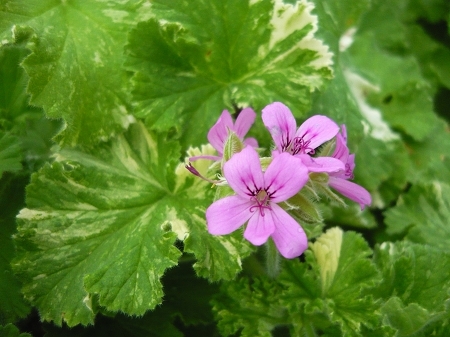 Snowflake Scented Geranium - Large rounded white and green variegated leaves have a light rose scent. Pretty purple flowers when in bloom. Large rambling plant needs plenty of growing space. Perennial zones 10-11+ Live starter plant in 3 inch pot.